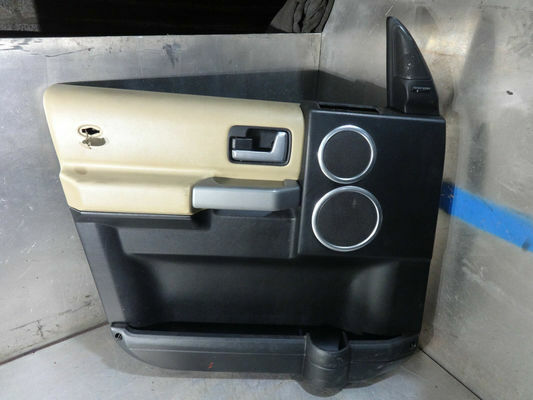 I have a D3 TDV6 S model and have recently swapped the two front door cards (the old ones were very shabby) with both the front passenger and front drivers door cards from an HSE model. Both the old cards and the replacement ones from the HSE have Harman/Kardon speakers so the swap was very easy. 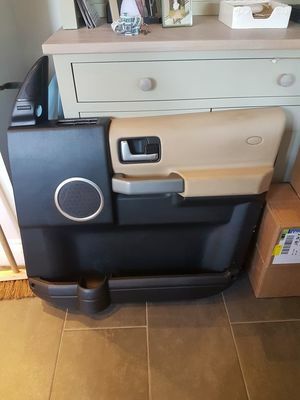 The difference between the door cards is that my old ones had one speaker cover and the ones from the HSE have two speakers covers - and a speaker actually attached to the door card itself (the upper one of the two on each door card). 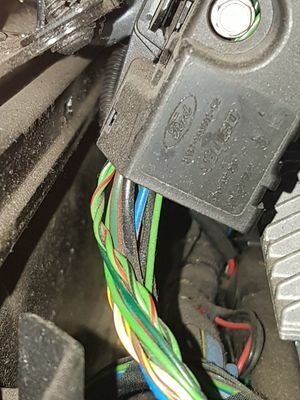 I issue I have is that I couldn't find a connector on my existing wiring loom to connect this additional speaker. I did however find a foam wrapped connector at the base which is for the puddle lights (which I didn't have on my TDV6 S). I unwrapped these connectors and now have puddle lights which is a bonus. It might not be straight forward. Thanks for the reply. Not sure what Amp I have in the car. I'll have a look later to see if there's a make or code on it. All I know is that it's a 2008 vehicle and has the Harman/Kardon system. As I put in my initial post, it's not a great issue but if it's an easy fix I'll tackle it. see if you have a black or silver amp under the drivers seat. I don't think a door loom is the answer. It's a silver Amp. Strange thing is it looks as though wiring under the seat has been moved at one time or another as one of the clips is not in its housing (the seats aren't electric). There is also a black box near to the Amp (not sure if it feeds into the Amp or not as it's dark now but I'll check tomorrow). I took a photo of the box and to my surprise it has Ford embossed on it. See photo below. Is that ford box at the front of the seat? Yes its at the front. On the left hand side as you look at the seat. 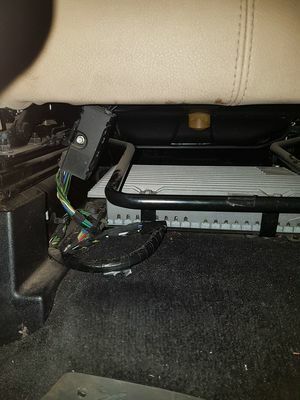 I've just taken a photo of the Amp and the 'Ford' box that's under the drivers seat. I'll have a more in-depth look tomorrow to see where the cables run to.